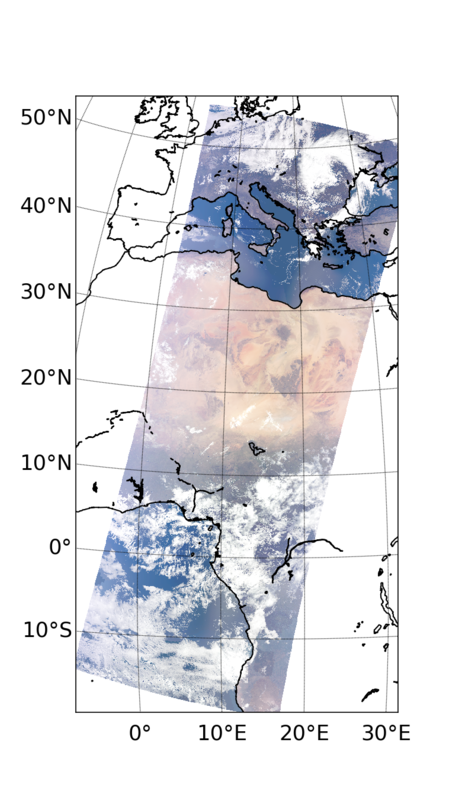 METimage sensor is intended to provide high quality imagery data for global and regional numerical weather prediction and now-casting, and to support the sounding instruments on EPS-SG. Taking advantage of its large spectral range (0.44-13.5 μm), METimage will provide, among others, cloud top pressure (CTP) products based on the use of visible imaging in the oxygen A-band. 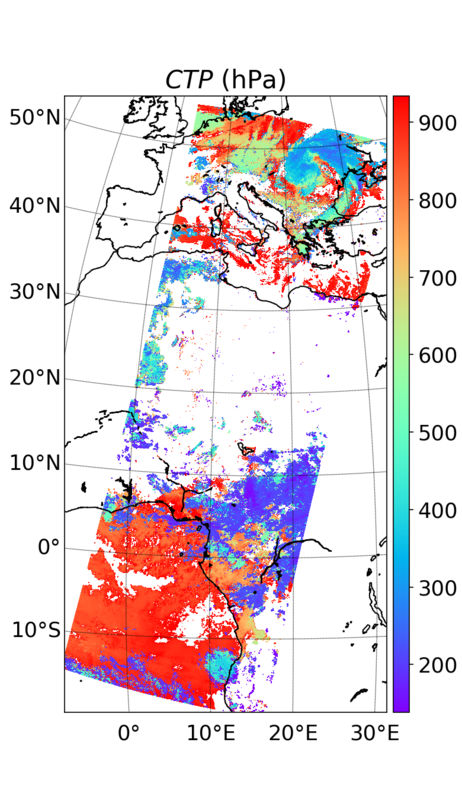 The goal of METimCTP project is to prototype the algorithm that will be used to retrieve the CTP from radiances measured by EPS-SG METimage in the oxygen A-band. HYGEOS manages and contributes mainly to this project which is operated in partnership with the Laboratoire d'Optique Atmosphérique. A sensitivity study and information content analysis corresponding to METimage channels characteristics. This study is necessary to derive an error budget for the retrieved parameters. It is also the starting point for the definition of the forward model to be used in the retrieval. The definition of a pertinent physical forward model and the set of physical parameters that can be retrieved (or only varied during the retrieval: non-retrieved parameters). The computation/optimisation of the corresponding Look-Up Tables to be used as the forward model during the retrieval. For speed reasons, the use of pre-computed results for the forward model is necessary to be compliant with the operationnal near real time constraints. We need to define the range and steps of the sampling for each relevant model parameter in order to reach a trade-off between accuracy (degraded due to interpolation) and LUT size. The testing and analysis of the retrieval algorithm on simulated METimage (see 4MSDS) and real MERIS data. Left panel is a RGB (670nm, 555nm, 443nm) from METimage synthetical data. Middle panel shows the ratio of radiances at 763 and 752 nm. That ratio is the observable from which we retrieve the Cloud Top Pressure shown on the right panel. Likewise the CTP, the cloud vertical structure has a great impact on the observed radiance in oxygen A-band. Unfortunately, the information content corresponding to METimage characteristics does not allow retrieving it together with the CTP. We need to fix the cloud vertical structure in the model according to a climatology as a function of CTP and the cloud optical depth. Final users of the CTP product must be informed about the potential error on the retrieved CTP due to departure of the modeled cloud vertical structure regarding the actual one. This error can be great especially in case of multi-layer clouds that are not accounted for in the retrieval. On a second phase of the project, we evaluate the possibility to flag multi-layer situation and, more generally, situation of great discrepancy between the model cloud vertical structure and actual one, by using METimage channels for which the water vapor absorption is significant. 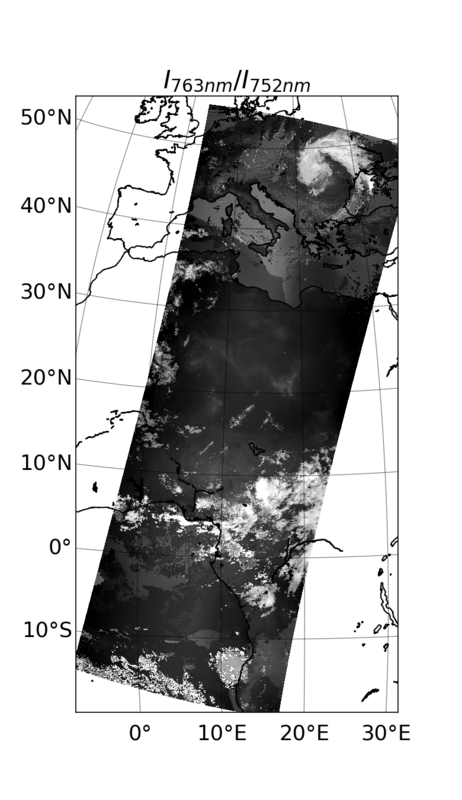 Thanks to the different vertical distibutions of O2 and H2O, the corresponding METimage channels will have a different sensitivity to the cloud vertical profile. We will exploit this information.